St Lucia is one of the Caribbean’s most popular vacation destinations, especially for honeymooners and romantics enticed by the island’s striking natural beauty, its many wonderful resorts, and the welcoming atmosphere. St Lucia has palm-fringed beaches, the Piton mountains, and beautiful waterfalls. This draws travelers from all over the world to visit St Lucia. It is really two islands in one. Rodney Bay in the north with the modern comforts amid a beautiful bay. In the south, Soufriere, which is the heart of the region of old plantations, hidden beaches and the geologic wonder of photogenic Pitons. Come sip on a rum cocktail, sunbathe on a white-sand beach, hike rainforest covered mountains, or try rock climbing. Everyone should have St Lucia on their travel list! To learn more about all the beautiful beaches on St Lucia, visit here. Now view our St Lucia Travel Guide to help plan your next Caribbean vacation! St. Lucia’s visitors should expect hot and humid weather conditions year round due to the island’s proximity to the equator. Fortunately, visitors will rarely feel uncomfortable as mild trade winds bring cool breezes off the water. The average temperature on St. Lucia ranges from St. Lucia’s visitors should expect hot and humid weather conditions year round due to the island’s proximity to the equator. Fortunately, visitors will rarely feel uncomfortable as mild trade winds bring cool breezes off the water that offer some respite from the heat. The average temperature on St. Lucia ranges from 70 °F to the upper 90s. Humidity on the island averages between 70 and 90 percent throughout the year. December through January are generally the coolest months with the temperatures being in the mid 70s to mid 80s in °F. The summer months of June through August are the hottest on St. Lucia where temperatures in the mid to upper 90s °F are not uncommon. to the upper 90s. Humidity on the island averages between 70 and 90 percent throughout the year. December through January are generally the coolest months with the temperatures being in the mid 70s to mid 80s in degrees Fahrenheit. The summer months of June through August are the hottest on St. Lucia where temperatures in the mid to upper 90s Fahrenheit are not uncommon. As with most Caribbean destinations, the winter season is the most popular time to visit St Lucia. The weather brings the crowds and prices go up, especially during the driest period from December to March. Winter has average temperatures of around 81°F. Summer is quiet and hot with July temperatures averaging 85°F. 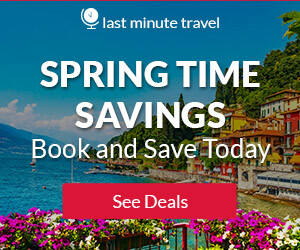 If you’re on a budget, consider traveling to St Lucia in April thru early December. Just remember that June thru early December does see high humidity and heavy rainfall. If you are looking for dry weather and sunshine, visit in January thru June, with April thru June is going to being the least crowded time of year. Hurricane season runs from June to October. You can expect more rain this time of year and maybe some storms. On arrival visitors are required to show a valid passport and fill in an immigration form detailing the length, purpose and location of their stay, plus any customs declarations they may have. An onward or round-trip ticket and proof of sufficient funds is officially required. For short visits of up to six weeks most nationalities don’t require a visa. From North America, direct service to Saint Lucia is available on American Airlines from Miami; Charlotte and Philadelphia; on JetBlue from New York and Boston; on Delta from Atlanta and on United Airlines from New Jersey and Chicago. Water taxis can be hired to travel to virtually anywhere on the west side of the island, with the most popular routes running between Rodney Bay in the north and Marigot Bay or Soufrière in the south. Taxis are available at the airports, the harbor, in front of major hotels and at taxi ranks in towns. They aren’t metered but more or less adhere to standard fares, especially on short trips. On longer journeys prices are somewhat negotiable. Confirm the fare before getting in. You can rent a car when you arrive in St Lucia, be it at the airport or in town. Most companies require the driver to be at least 25 years old and to have had a driver’s license for at least three years. The cheapest cars rent for about US$60 a day. If you’re planning an extensive tour of the island, it’s advisable to hire a 4WD, as many of the roads are steep and smaller ones can become little more than potholed mudslides after a bout of rain. Bus service is via privately owned minivans. They’re a cheap way to get around. St Lucia’s main road forms a big loop around the island, and buses stop at all towns along the way. They’re frequent between main towns and generally run until around 7pm, except on the busy Castries–Gros Islet corridor where they run until after 10pm. With the exception of services in the north, very few run on Sunday. In urban areas buses are only permitted to stop at designated bus stops. In rural areas, if there’s no bus stop nearby, you can wave buses down anywhere on the route as long as there’s space for the bus to pull over. When you want to get off, announce your intention by calling out ‘stopping driver’ well in advance of your stop. Wander amid tropical flowers and trees at this old estate. Mineral baths date from 1784, when they were built atop hot springs so that the troops of France’s King Louis XVI could take advantage of their therapeutic effects. You can take a dip in small public pools among the nature or in the less appealing enclosed private bathhouse. Pigeon Island can appeal to an eclectic mix of travelers. You could get a history lesson about the park’s previous occupants, or learn more about the formation of the man-made causeway that currently connects the island to the mainland. 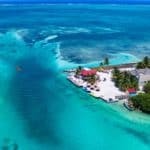 You could also attend a concert, or explore 18th century military ruins, including Fort Rodney, which affords panoramic views of the ocean and Rodney Bay. 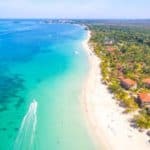 There are also some beaches and a few restaurants situated around the 44-acre national park. St. Lucia beaches are a dime a dozen, but none are quite as loved (by travelers and locals alike) as Reduit. The expansive shoreline, glorious sunsets and close proximity to the bars, restaurants and shops of Rodney Bay make for an easygoing beach experience. Reduit is also a great place to try water sports like windsurfing and waterskiing. What it’s not ideal for, however, is honeymooners. As the most popular shore on St. Lucia, this isn’t the spot for a romantic rendezvous. 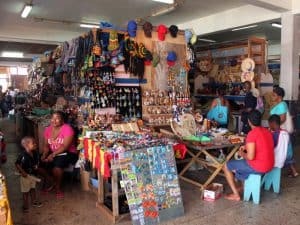 The Castries Market has been the capital city’s local food and flea market for the last century. Open every day except for Sunday, locals gather to sell homegrown produce and spices as well as St. Lucia-stamped souvenirs for tourists. 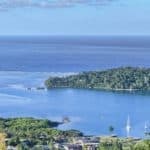 There’s a reason Hollywood comes calling to Marigot Bay (scenes from the original “Dr. Doolittle,” starring Rex Harrison and “Fire Power,” starring Sophia Loren, were shot here). It’s because this gorgeous shore, just south of Castries along the central western coast, is idyllic Caribbean: complete with swaying palm trees, anchored boats, and white sand beaches. Travel guides describe Marigot as romantic and it’s true that it’s more blissfully quiet than jumping Reduit — making for a great escape. Joy has over 20 years of experience offering the best in personalized tours, excursions and transfers at the best prices. For more information call 758-284-1830, or visit them on the web at Joy’s Adventure Excursion and Coastal Cruise. Experience the adventures of a perfect vacation. Serenity Island adventures will dare you to defy the ordinary. They specialize in creating magical private and exclusive experiences while taking great care with groups of any size. For more information call 1-866-766-0794, or visit them on the web at Serenity Vacations & Tours. 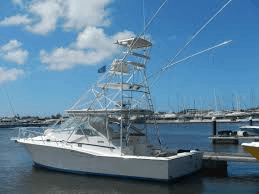 Specialized in Private Charters services include but are not limited to Deep Sea Fishing, Sightseeing & Snorkel Charters, Sunset Cruises and Whale & Dolphin Spotting Charters. The company enjoys a solid reputation by providing excellent customer service and flexibility to create your own unforgettable day at sea. Charters are perfect for couples, families and groups. Exodus Boat Charters look forward to welcoming you on board! For more information call 758-485-3966, or visit them on the web at Exodus Boat Charters. Let them help you discover Saint Lucia. 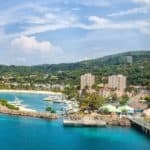 A tour on a cruise boat around the beautiful Saint Lucia is often said to be the best way to truly experience the unique splendor and tranquility of this tropical paradise. A day on a boat makes it possible for you to visit in a short time many beach spots and locations, and lets you discover the real island life, visit the little villages around the coast, the fruit market, Castries… For more information call 758-384-4087, or visit them on the web at Solomon Water Taxis & Tours. 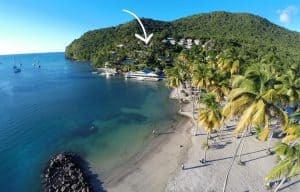 Dive Saint Lucia (DSL) is the island’s premier scuba diving center with it’s own on-site purpose built pool and state of the art classroom facilities. Couple this with the fantastic retail facilities and top class staff, there really is no-where better to dive in St. Lucia. For more information call 758-451-3483, or visit them on the web at Dive St Lucia. This tiny waterfront restaurant overlooks pretty Vigie Cove. For a light lunch, opt for a bowl of creamy pumpkin soup, Greek salad with chicken or shrimp, or broiled fresh fish. Dinner might start with a divine lobster bisque, followed by fresh seafood accompanied by one (or more) of the chef’s fabulous sauces—ginger, coconut-curry, lemon-garlic butter, or wild mushroom. Heartier eaters may prefer duck, lamb, beef, or chicken laced with peppercorns, red wine, onion, or Roquefort sauce. For more information call 758-452-5566, or visit them on the web at The Coal Pot. The terrace restaurant at Ladera resort has breathtaking, close-up views of the Pitons and the sea between them, especially beautiful at sunset. The ambience is casual by day and magical at night. Appetizers may include silky sweet-potato-and-coconut soup or Caribbean lamb salad. Typical entrées are “fisherman’s catch” with a choice of flavored butters or sauces, shrimp Dasheene (panfried with local herbs), grilled rack of lamb with coconut risotto and curry sauce, or pan-seared fillet of beef marinated in a lime-and-pepper seasoning. Light dishes, pasta dishes, and fresh salads are also served at lunch—along with that million-dollar view. For more information call 758-459-6623, or visit them on the web at Dasheene at Ladera. Opposite the Royal St. Lucia by Rex Resorts hotel and Reduit Beach, this dining spot is part of Rodney Bay’s “restaurant central.” Starting with cool drinks and warm appetizers at the bar, diners make their way to the dining room or garden for some serious seafood or a good steak, baby back ribs, West Indian pepper-pot stew, spicy Moroccan-style lamb shanks, or simple chicken and chips. The seared yellowfin tuna, potato-crusted red snapper, and seafood creole are big hits, too. There’s also a vegetarian menu. For more information call 758-458-0450, or visit them on the web at Buzz Seafood & Grill. Lots of non-residents eat at The Cliff at Cap, the restaurant at Cap Maison, a very smart hacienda-style hotel near St Lucia’s northern tip. Part of the reason is the open-air restaurant’s sensational clifftop location: below you, frigate birds swoop over the ocean, and the panoramic views extend to Martinique on the horizon. But the creative French/West Indian cuisine is also a big draw. At the very least, go to The Cliff at Cap for a drink: the bar has an impressive selection of rums. For more information call 758-457-8681, or visit them on the web at The Cliff at Cap. This classy indoor restaurant is the most reliable bet for a really good dinner. The steaks are outstandingly tender, and the sweet potato fries are delicious. Leave room for the scrumptious puddings, which are memorable. For more information call 758-450-0210, or visit them on the web at Big Chef Steakhouse. This is the most civilised watering hole in the heart of Rodney Bay Village. The elegant, horseshoe-shaped cocktail bar does lots of original martinis, caipirinhas and mojitos, using fresh fruits and herbs, and the restaurant is one of the better ones in the resort. For more information call 758-451-3354, or visit them on the web at Delirius. St Lucia’s first, and so far only, casino, located upstairs in the Baywalk Mall [pictured below], has slot machines, and roulette, blackjack and poker tables. It’s all very casual – there’s no dress code, and no passport or ID is needed to gain entry, though as the sign says at the entrance “No firearms allowed”. 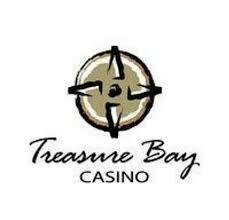 For more information call 758-459-2901, or visit them on the web at Treasure Bay Casino. Sample the planet’s best aged rums in this specialty St Lucia rum bar, designed with a chic white-and-charcoal palette, glowing white bar, and comfortable, oversized furniture. The Cane Bar also provides a professional “rummelier” to aid in the selection of the expertly chosen native and international rums. For more information call 758-456-8000, or visit them on the web at The Cane Bar. 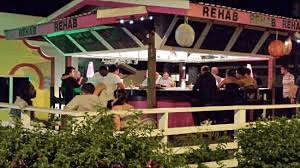 One of St. Lucia’s most famous nightspots is Rehab, a tribute bar named after a song by singer Amy Winehouse. Rehab serves up specialty cocktails and Motown music in Rodney Bay Village, a coastal town on the northwestern tip of the island. For more information call 758-458-4708, or visit them on TripAdvisor at Rehab. Doolittle’s site was one of the filming spots for the movie, which featured sweeping views of the nearby Marigot Bay. 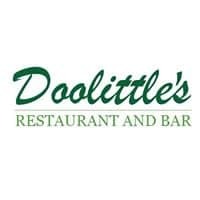 Located approximately 9 miles south of Castries on the western coast, Doolittle’s serves gourmet meals during the day and transforms into a tranquil bar at night. For more information call 758-458-3323, or visit them on Facebook at Doolittle’s Restaurant & Bar. Jade Mountain offers accommodations in Soufrière. Certain rooms include views of the sea or mountains. Extras include bathrobes and slippers. You can play tennis at this resort, and the area is popular for hiking. The nearest airport is Hewanorra Airport, 10 miles from the property. For more information, pricing, or to reserve your room, visit Jade Mountain. East Winds Inn All Inclusive is a property in Corinth by the beachfront. It features free parking and Wi-Fi access on site, an outdoor pool and a restaurant. East Winds Inn’s restaurant serves international cuisine and provides afternoon tea services. East Winds Inn also has a lounge area with live music, massages and a bar. Recommended activities include yoga lessons, ping-pong, and guided tours. For more information, pricing, or to reserve your room, visit East Winds All Inclusive. On the north shore of St. Lucia, the Windjammer Landing Villa Beach Resort overlooks the crystal-clear Caribbean Sea and features landscaped grounds and waterfalls, 6 outdoor pools and a luxury spa. Some of the fully-equipped villas have a private pool. The Serenity spa features a private pool area, steam room and treatment room overlooking tropical gardens. Treatments include aromatherapy, massages, body wraps and facials. The resort also has a hot tub and a gym. Casual and formal dining are available at this St. Lucia villa resort. There are 5 restaurants and 3 bars to choose from. The Windjammer’s Jacquot Fun Club has supervised activities and theme nights for children from 4 to 12 years old. Teenagers can enjoy bonfire nights, karaoke and watersports at the Teen Club. For more information, pricing, or to reserve your room, visit Windjammer Landing Villa Beach Resort. A full-service spa, on-site dining and an outdoor pool is available in this resort in Castries. Tropical guest rooms include air-conditioning and free Wi-Fi. Pigeon Island National Park is 1.9 miles away. Bananne Carribean Bistro & Bar serves a variety of cuisine including French and West Indian. The restaurant overlooks the pool and the Sunday brunch features steelpan music. Palm Coco offers car rental, airport shuttle and babysitting services. Guests can work out in the gym or enjoy a massage in the guest rooms, the tropical garden or on the roof deck. For more information, pricing, or to reserve your room, visit Cocoa Palm Resort. Great article Leahrae! St Lucia sounds beautiful! I love to travel, unfortunately, I have never been there. The closest that I got was Puerto Rico. I stayed at a friend’s house for a few months in Vieques, PR. The waterfalls in St Lucia sounds like something I have got to see. I love to travel so I may make this my next family trip for next year! You said the humidity is between 70-90 percent, I don’t know if I can handle that it seems like it would be very hard to breathe. 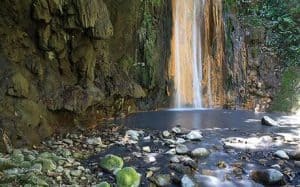 I am very interested in visiting Diamond Falls, it looks very beautiful! Thanks for the info Leahrae! You are very welcome Shwana, and glad you enjoyed reading the St Lucia Travel Guide. The humidity actually really doesn’t feel that bad. I guess, living in Florida has gotten me used to it maybe 🙂 The waterfalls would be the one thing not to miss on the beautiful Caribbean Island of St Lucia! 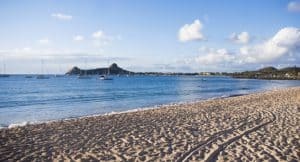 St. Lucia has been on my bucket list for years, but I somehow seem to keep missing out and opting for other travel destinations. This has put it at the forefront of my mind once again. The information here, and the photos make it look like a fabulous place to be…just as I imagined. With all that is going on in the world though I am wondering who owns this island, and also whether it is considered a safe island for travelers? Hi Daniella and thank you for reading the St Lucia Travel Guide. Yes, there is camping in St. Lucia. There are designated camping areas, and the best is going to be Anse la Liberte. The price ranges anywhere from $25 to $75 a night, depending on season. How wonderful, to camp right out on the beach! Let me know if you need any more information about Anse la Liberte. You have sold me on St. Lucia! (You had me at the white sandy beaches.) You have done a wonderful job of explaining everything possible there is to know about this gorgeous place. The pictures you share are absolutely stunning! My husband and I travel a lot and the one thing that is very important to us when we are on vacation is being able to get around. You have done a great job of explaining how to travel around while there. I can’t wait to read what you write about in the future. 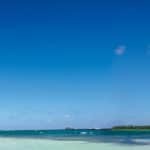 Will you be writing about more Caribbean Islands? This is a wonderful travel guide for St Lucia! And it looks like such a heavenly place to visit. I am been interested in going to some island in the Caribbean, and I especially like St Lucia, although you have made the decision tough! I am seeing now that the Caribbean has a lot of beautiful places, I just need to decide which island to head to. I love exploring new places of the world. Thank you for all the great information! St. Lucia seems like a fantastic place to visit, especially if you like the beach. Reduit beach, especially, seems gorgeous. It is great to get a snapshot of the features, activities, restaurant, nightlife, and resorts. They seem to have a lot of really great local cuisine. I especially liked to hear that restaurants use stuff like pumpkin and goat in the food- stuff that I wouldn’t normally eat. That adds to the whole experience for me. You will have to experience St Lucia! 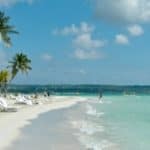 It is a great Caribbean Island vacation destination for sure. Thank you for reading our St Lucia Travel Guide! I would definitely go to the Diamond Falls when I visit here! I love hot springs and mineral pools! I would spend my whole visit just soaking in some natural health. I guess I need to start planning. Thank you for all the great information! Yes, Nicole, I agree. It would be pretty idealistic to sit and soak with such an amazing view. Feeling the warmth of the water, the sun, just perfect! Glad you enjoyed the St Lucia Travel Guide! Great travel guide! 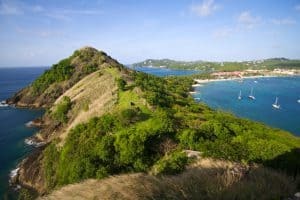 I have traveled to St. Lucia before and I absolutely loved the atmosphere. I took a tour bus around the island and enjoyed learning about the history and culture. I definitely want to go back and try all the recommendations you’ve listed here. I am glad I found your website, as I want to go back to the Caribbean. I am ready to head back to Anguilla now! I will keep this guide handy for my next adventure! Great! You will have a great time again I am sure. I like going back to the same place a second time if I really enjoyed it the first time. Gives me a chance to see and do the things I didn’t the first time around. I seem to enjoy it more for some reason. I am sure you will too! Excellent info. Love it. Will follow on twitter. Beautiful pages with plenty of information. St Lucia has been a spot that I’ve wanted to check out for years. I liked reading about the temps there. I would really like to visit in the winter months when it’s between 70 and 80 degrees. That would be perfect for me. It does have perfect weather that time of year Jeremy and St Lucia is a great Caribbean Island destination for sure. Thanks for visiting the St Lucia Travel Guide! oh my gosh, St Lucia just looks divine! I think you have just planned out our next holiday. I need to show this post to my husband. Thank you so taking the time to step through everything we need to know from when to go, how to get around and the best places to eat (that’s super important). Great! And if you need any further information, please don’t hesitate to ask. I would be more than happy to help! You are very welcome Rico and thanks for visiting my St Lucia Travel Guide. 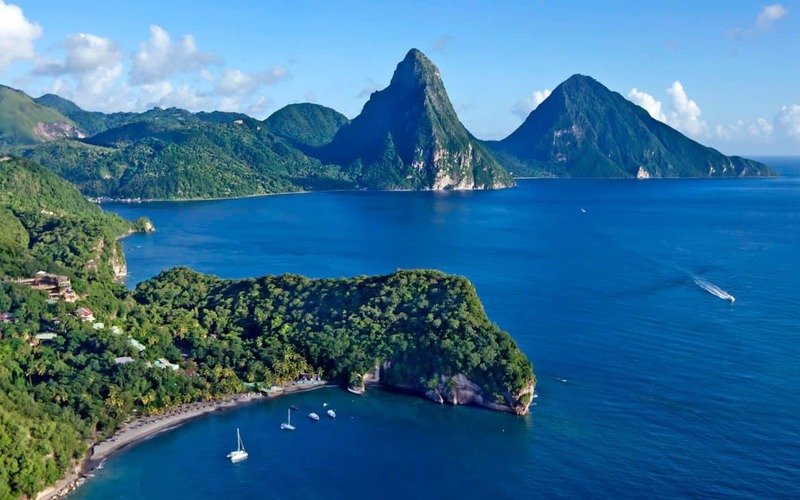 Yes, how great would it be to honeymoon in St Lucia….sigh….someday right?